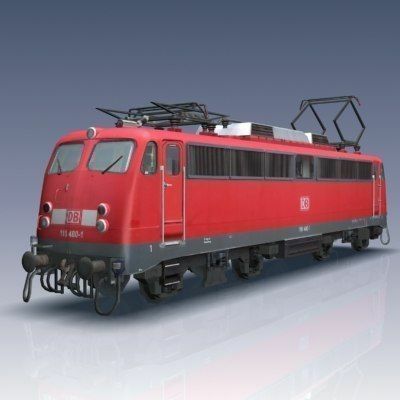 An accurately scaled and modeled low polygon BR 110 Locomotive of the Deutsche Bahn. With a polygon count of 8390 (15,580 tris) this model has been professionally developed for modern high-end simulation and game use. It is properly uv mapped and fully textured. The primary texture is a 1024 x 1024 bitmap. This model is available here in .3ds, .fbx, .flt, .lwo (v 6.0), .max (v 2008), and .obj formats. The BR 110, also known as the Class E 10, is an electric locomotive of the Deutsche Bahn of Germany. It was introduced in 1952 for express passenger service and it remains in service on regional routes.